Even though there has only been one winter storm before the actual beginning of winter, the ice, snow, and cold is nothing to sneeze at, so here are some excellent ways for Glenwood homeowners to prevent roof damage to their homes this winter. Maryland winters are no joke. Even though there has only been one winter storm before the actual beginning of winter, the ice, snow, and cold is nothing to sneeze at, so here are some excellent ways for Glenwood homeowners to prevent roof damage to their homes this winter. The first thing Glenwood homeowners should do is to clean out their gutters. The gutters, downspouts, and drains help keep water away from your home’s foundation. When you protect the foundation from water damage, you can avoid flooding your basement and flooding other parts of your home. Also, when you clean out the gutters, you can help stop the buildup of clogs and diminish the presence of mold and mildew. Get rid of fallen leaves and twigs as well. The next step is to handle any mold that is already growing. After all, mold can cause a considerable amount of roof damage. That’s why if you see that the shingles on your roof are turning odd colors, it could indicate the presence of mold. Moss, mildew, mold, and algae can all take root on your roof and slowly ruin it if you do nothing to stop it. Have a conversation with your roofing partner about what they recommend you should do to clean up and sanitize your Glenwood home’s roof. As you are talking to your residential roofing partner, schedule an inspection. During this inspection, roofers can come and determine the extent of your home’s roof damage. Even if you are capable of moving around on your roof, you may not want to; the rise of drone technology equipped with cameras has allowed roofs to examine the condition of a house’s roof without needing to send any contractors up there. So now that you’ve figured out how damaged your roof is, it’s time to start fixing it. Replace any shingles that are broken or have been thrown around by the wind. Ice and snow can be heavy and ruin your roof’s structural integrity. By making sure all of the shingles are intact, you can help avoid moisture seeping into your attic and damaging drywall and insulation. Carrying out inspections and maintenance throughout the fall is your best bet, but if you couldn’t do this, then there’s no time like the present to get started. 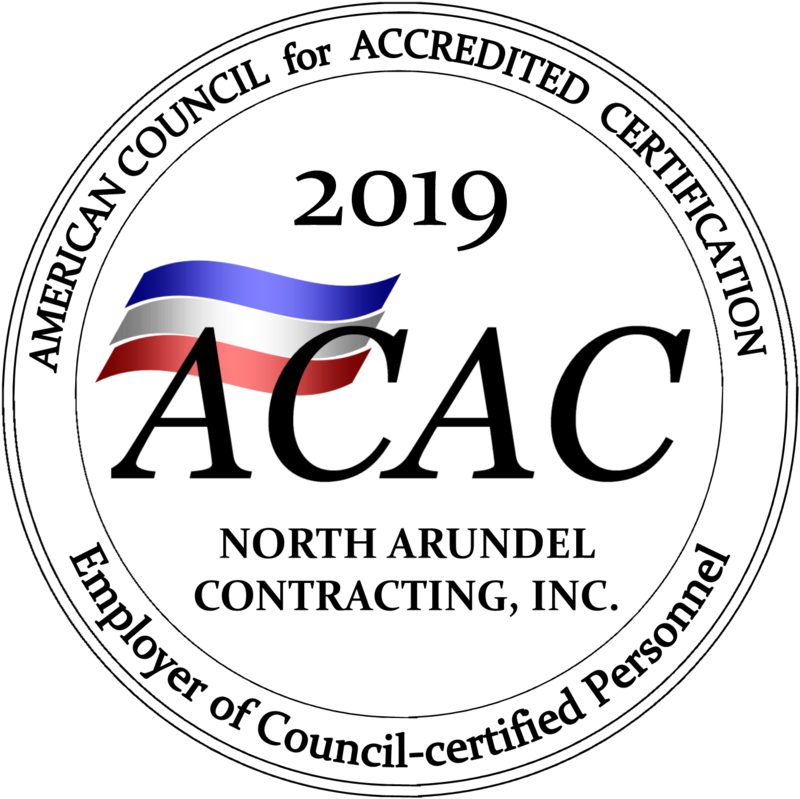 If you have more questions about residential roofing or if you want the professionals to take care of it for you, you can trust North Arundel Contracting. Reach us by telephone at 410-766-2855 or by fax at 410-553-2367 and visit us online. Shoot us an email at nac@nacontracting.com and for after-hours emergencies, page us at 410-541-0328. To find out what we are up to, or for more tips and tricks, follow us on Pinterest, Facebook, Twitter, and LinkedIn. This entry was posted on Friday, December 7th, 2018 at 10:48 am. Both comments and pings are currently closed.